Seven years after his directorial debut with 2009’s A Single Man, noted fashion designer Tom Ford returns to movies with 2016’s Nocturnal Animals. Susan Morrow (Amy Adams) works as an art curator and suffers through an unfulfilling marriage to husband Hutton (Armie Hammer). Susan’s past revisits her when her ex-husband Edward Sheffield (Jake Gyllenhaal) sends her a copy of his new novel. Edward dedicates the book to Susan, a notion that seems provocative when she realizes the story offers a tale of violence and revenge. While we follow the ways Susan deals with this, we also trace the narrative of the novel itself. Entitled Nocturnal Animals - natch – Susan sees elements of her own life in Edward’s fiction. That “story within a story” construct threatens to swamp the movie with its own cleverness, especially because of the ways in which it seems to reflect the “real” characters of Susan and Edward. In a serious bit of on-the-nose casting, Animals uses Gyllenhaal as both Edward and “Tony Hastings”, the protagonist in the novel. The film also features Isla Fisher as Tony’s wife Laura, another piece of telegraphed casting. While Fisher and Adams aren’t clones, they clearly resemble each other, so Fisher’s presence provides an obvious link between the “fictional” Laura and the “real” Susan. Does any of this go anywhere other than Gimmicktown? Not really. The entire “story within a story” subplot feels forced and gratuitous at best, especially because the sides fail to connect in a particularly obvious manner. Edward’s novel features a family terrorized by some hicks in remote west Texas. It has more in common with Deliverance than the chilly neo-noir elements that influence Susan’s story. In the end, Animals manages to tie together all these elements, but not in a satisfying manner. This feels like a story where Ford came up with an ending and then retrofitted everything else to get to that point. This might work if all the “everything else” managed to work, but little of the story goes anywhere. Susan’s “present day” pieces feel underdeveloped, and the reflections on her past don’t offer a whole lot of depth either, partly because Ford embraces easy clichés in terms of the characters. The moments that focus on “Tony” and Edward’s book threaten to provide actual entertainment, but they also lack much merit. The novel in the movie just feels by-the-numbers and without anything new or fresh. Again, that happens because Ford attempts to shoehorn narrative elements into his final conception. He wants the entire film to reflect on Susan and her life – logic or coherence be damned. Animals strikes me as a compilation of plot/character fragments crammed together. I get the impression Ford had a few story ideas that he couldn’t flesh out to feature length so he combined them into this film. This worked great for the medley on the Beatles’ Abbey Road, but it flops in this movie The end result leaves us with a mix of unsatisfying and underdeveloped components that rely on the viewer’s imagination to flesh them out. Animals feels like a half-baked gimmick film that fails to coalesce into anything substantial. Nocturnal Animals appears in an aspect ratio of approximately 2.40:1 on this Blu-ray Disc. Across the board, the transferred looked pretty good. In terms of colors, Animals reflected Hollywood’s modern fascination with orange and teal. As tedious as that has become, the colors looked fine within the design parameters. In addition, blacks were dark and tight, while low-light shots were decent; some could be a bit dense, but they weren’t bad. This was a generally positive presentation. As for the DTS-HD MA 5.1 soundtrack of Animals, it lacked a ton of ambition. The soundfield focused on music and ambience, though it opened up a bit on occasion – in particular, scenes on the road boasted a little breadth. Nothing especially memorable occurred, though. Audio quality was fine. Speech seemed natural and concise, without edginess or other issues. Music offered good clarity and range, and effects worked well enough. They didn’t have much to do, but they appeared reasonably accurate. All of this ended up as a perfectly satisfactory soundtrack for a character-driven movie. 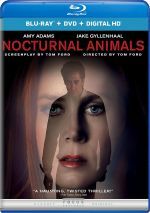 The Making of Nocturnal Animals runs 11 minutes, 18 seconds and provides notes from writer/director Tom Ford, director of photography Seamus McGarvey, costume designer Arianne Phillips, producer Robert Salerno, and actors Amy Adams, Jake Gyllenhaal, Isla Fisher, Ellie Bamber, Aaron Taylor-Johnson, Armie Hammer, and Michael Sheen. The show looks at story and characters, cast and performances, cinematography and visual design. “Making” adds some decent information but never becomes especially fulfilling. The disc opens with ads for The Zookeeper’s Wife, Loving, Frank & Lola, Desierto, The Edge of Seventeen, Bleed For This and A Monster Calls. Previews adds promos for Tinker Tailor Soldier Spy, Closed Circuit, The American, Hanna, The Place Beyond the Pines, and Promised Land. No trailer for Animals appears here. A second disc presents a DVD copy of Animals. It includes the same extras as the Blu-ray. With its attempts to meld a variety of tales, Nocturnal Animals comes with ambitions it can’t fulfill. 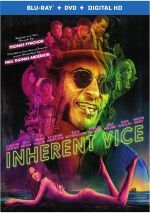 The movie lacks purpose and tends to use its various narratives as a gimmick. The Blu-ray provides generally positive picture and audio but it lacks substantial bonus materials. The film turns into a slow, shallow experience.